Siemens VoiceLink is a voice transmitter that connects to a plug-in microphone and transmits sound via an EasyTek or miniTek using Bluetooth wireless technology. Every Siemens EasyTek and Mini Tek comes pre-paired with a transmitter that captures audio from devices with and without Bluetooth technology — including TVs, DVRs, laptops, MP3 players, game consoles, etc. 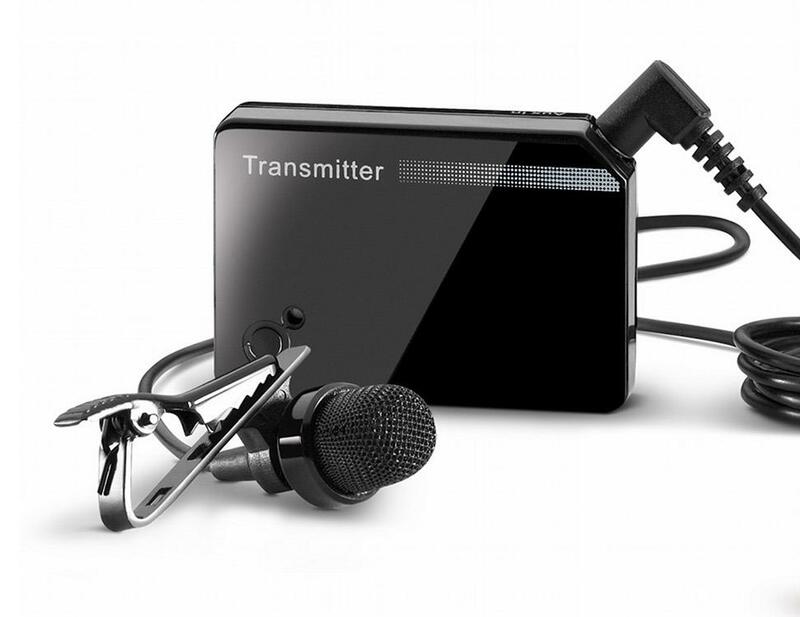 The transmitter converts audio into a Bluetooth wireless signal and sends it to your easyTek or miniTek in real time—without any audio delay! Siemens VoiceLink is very useful in noisy environments like restaurants, classrooms, and conferences. With VoiceLink you can hear speech as if the person wearing the microphone is standing close by.